I received this book as a Goodreads First Reads Giveaway.This is the third book in a trilogy, and does NOT work as a standalone. There's no "recap" to speak of, so you might get a little lost if you haven't read the previous books. Apprentice and JourneymanI like the world. 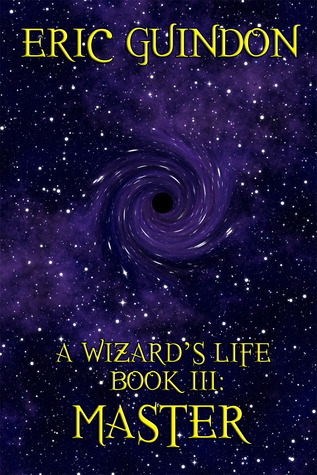 Its kind of a modern magic world, but fantasy in that the wizard lives on the moon. I love the dialog, very natural.This is a good book for younger readers- as long as you get the other two books to go along with it! :-)Overall, four stars. The characters were even worse and the history and magic were even better. Only read this if you find magic like science interesting and centuries of history interesting. The other parts of this series were poor. Eric Guindon - Eric Guindon is an IT professional who consumes much more fiction than he produces. He's working to change that.He is supported in his work by his lovely wife, Kathryn Norman, and his son, Luke.Eric and Kathryn keep an improbable amount of pets, including a very large Doberman Pinscher, Thor, three cats, three snakes, and two geckos.